I have tried, many times, to find some store bought tortillas that are at least “OK”. Time and again I’ve stood in the aisle at the store thinking, “There have to be some that aren’t that bad”, but each time I look and look and realize it can’t be done. If they taste good, then they’re full of crappy preservatives. If they don’t have crappy preservatives, then they taste blah. When I do finally come to this conclusion and then see people walking up to nonchalantly grab a package off the shelf, I just can’t help blurting something out… (“Those have trans fats!”) Yes, I get funny looks, but I’m used to it. ALSO: Be sure to see the other new post today with all the FAST FOOD ideas you can make using homemade tortillas, they’re super kid-friendly, too! 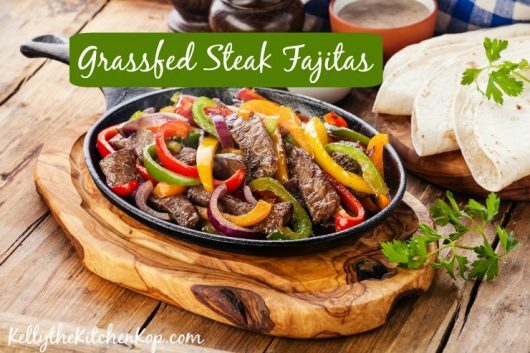 With this recipe, I started with Katie’s – she did lots of experimenting and showed which variations worked well and which weren’t so hot. But, since she and I are a lot alike, we can’t just make a recipe, we always have to play with it some first. LAST-MINUTE variation from the below recipe: For those of you who are like me and often don't think ahead enough to get my dough soaking the night before: just omit the whey, and use part sprouted whole wheat or spelt flour and the rest unbleached white flour. Mix the first 3 ingredients well (I use my Bosch so it's hands-free and I can do other stuff at the same time, I'm all about multi-tasking! ), cover, and let set over night, at least 7 hours, but I left mine for 24 hours just because I was busy. The next day, add the last 3 ingredients. Knead or mix very well. At this point if you don’t have time to roll them out, you can cover and let it sit in a greased bowl in the fridge until you do have time. Mine sat for a couple more days before I got to it and the dough was still fine. I just had to grab a ball into my hands to warm it and play with it a bit before it was ready to roll. Rolling tip: Use a heavy rolling pin and a floured counter top. This makes it MUCH easier to roll them out thin (the one pictured here didn’t work well), and getting them thin enough is key to making them “real” looking and tasting for your picky kids. Let cool on the counter or on a wire rack before storing. This big batch makes about 20 homemade soaked flour tortillas. (I like extra to keep in the fridge between pieces of wax or parchment paper, or you can keep them in the freezer, too.) You can easily halve it if you don’t think you’d go through so many. And here are fast food ideas specifically using these homemade soaked flour tortillas! Kelly, I make the world’s most delicious burritos and they deserve good tortillas. I’ve been trying to make sourdough tortillas and am now on my third attempt to make a good starter. I get tortillas from Trader Joe’s. They aren’t organic, but don’t have a lot of bad stuff. I got some lard at the local farmers market from pastured pigs. I will try your recipe, looking forward to success! Allen Cooke — I buy some there too when I need them in a pinch. Kelly, I’ve used basically your recipe which I adapted from Pioneer Woman’s. She uses LARD instead of butter-which you know allllll about-they are delish! I concur with using a heavy rolling pin vs the tortilla press-I was underwhelmed by one I borrowed to try out. These are definitely worth the bit of time it takes-even 5 y/o (grand)kids can help flip them in the skillet! Yum, I’ll have to try them with lard, thanks Cindy! Kelly! This is genius happening! I *have* to follow AIP and, in another life, ate at Taco Bell as aften as possible. You have just made my life so much better with this recipe. Thanks from the bottom of my stomach! Ha! You’re so welcome, Elin Duke Potter! We do quesadillas every week for dinner. I hate buying store bought tortillas and will sometimes buy chips to make nachos instead (fewer bad ingredients). I made these today!! Easy and delicious! LOVED THEM! KIDS LOVED THEM! Will plan on making these weekly! 🙂 Thanks for sharing your recipes! Did you ever decide on/purchase a tortilla press? I am interested in buying one but unsure of a reliable brand. Thanks! OOH here’s a rolling tip I got from Alton Brown – Roll out your tortillas all at once and stack them with sheets of waxed paper, parchment or a damp tea towel or cheesecloth between each one, keeping them well covered so they don’t try out. Then you can fry them faster. Don’t use paper towels or they stick to the paper. Kelly, with rain planned here tomorrow, I’m planning to spend the day cooking and ready to try these. I just got my new tortilla press in today. I went with a plain, all wood one from Mexico. We’ll see. Anyway, I don’t have any yogurt or whey right now. I’m guessing I could use a few tablespoons of vinegar or lemon juice instead? Thanks so much for your posts. I’m new to your site here and am enjoying reading through it. My family and I make corn tortillas the traditional mexican way. We use tortilla presses found at mexican markets. Though I’m sure the electric presses probably work great, I thought I’d throw my .02 cents in on what the hispanic women have shown me on manual tortilla presses. They say don’t ever buy based on brand (the authentic presses). They would never buy online and always go to a mexican store. To know a good press you take a small piece of dough and plastic (sandwich bag with 3 sides cut off so it opens and closes, works great) and while at the store put your plastic in the press and dough between the plastic sheets. This is normal at these stores, though you feel strange doing it. I think if you don’t, they know you’re gringo. 🙂 Test the one before you buy it because no matter the brand, they all flatten differently. In doing this you’ll see whether it’s flattening unevenly (too fat on one end). All the women I spoke with prefferred the aluminum metal verses the wooden etc., but personal preferace they felt these worked better to flatten evenly. While testing them you will see an obvious difference in even-ness between different ones. Never put the food directly on it. Always use plastic or wax paper. 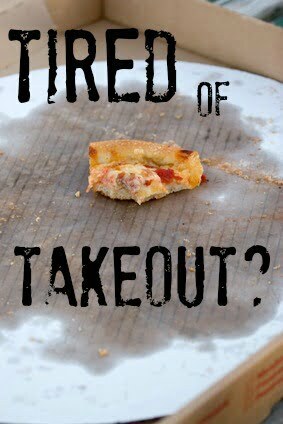 If you forget and the dough touches it, throw it away. Again, we are making corn tortillas, which are sooooo much better than store bought corn tortillas btw, as we aren’t real big on the americanized versions of flour. But they are all good when they are fresh. Fresh corn tortillas with a little butter spread, topped with queso fresco, chopped cilantro, chopped onion and homemade guacamole is just about unbeatable! Best wishes to all you who are experimenting and thanks again for sharing your knowledge and info! Love your site Kelly! Wow this is great info Camille!!! I have a friend who purchased hers at a Mexican Market and i had noticed there isn’t even a brand name printed on it! I thought that was odd to our American way of thinking. Have you ever tried flour or other grain tortillas? I am thinking they would all flatten differently anyway . . . . Thanks Camille! We just don’t eat much corn at this house. I wonder if what I could get at a Mexican Market would be better and non GMO ? You know I’ve been wanting to find the same. I just found out that Bob’s Red Mill has Masa Harina, which is the stuff, but not organic. They told me on the phone that it’s non-GMO. Maseca is the best brand you’d find in the mexican stores or just general stores, but from what I understand they still aren’t non GMO despite claiming they were going to be. But I’m going to try Bob’s and see how well it works. Hi Kelly. I’ve tried Katie’s recipe and liked it but am always trying new recipes so would like to try yours too. Any particular reason you used spelt? I’ve got some but am just curious. Thanks! The electric tortilla press that I use does have a nonstick surface…you wouldn’t use wax paper or parchment… wouldn’t need to. It is a nonstick surface, but only for a few seconds…. it’s sort of a trade off…..wish it could be cast iron… that would be great. Hope that info helps. Yes I was just wondering if it has an aluminum or non-stick surface or anything icky? Or is it just cast iron? I googled and couldn’t figure it out, but this one looks good! I have been making wheat flour tortillas for about 15 years, have recently made them using soaked flour, and had great results. I’m planning on trying some of the other grains that others have mentioned. I can tell you without hesitation that the Vitantonio brand tortilla press works like a charm! I wouldn’t trade it for anything! It’s one of my indispensible kitchen appliances! Anne, what is it made of? I would be interested in knowing how to use the press. I have one and I just make a mess with the dough, it sticks and I can never get the consistency right? Does anyone have any suggestions that uses a press. I have been rolling it out. ??? Also . . . . .do you go for the Electric tortilla press vrs the Manual??? I know my sister has a simple press she bought at the Mexican market, but it seems that it only makes the “white flour” version and heavier flours just don’t seem to work. Anyway . . . my gang LOVES tortillas of all types — spelt, aramanth, wheat & herb and all types!!! I’m posting on this soon to ask for suggestions! The post asking for your brands and features suggestions for a tortilla maker is going up on Monday, please comment then and help me figure out which one to buy, thanks everyone! Kelly – you have to try a tortilla press! 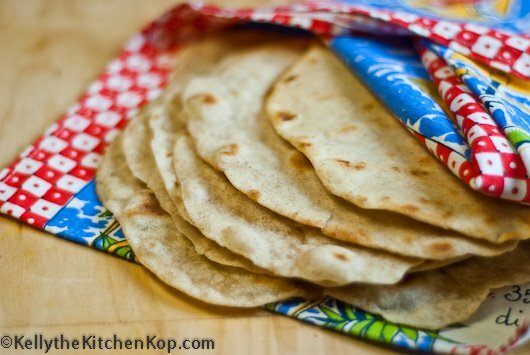 I make a batch of 20 tortillas once a week – soak the dough overnight and press them out in 15 min. They are soft and wonderful and taste so good! But the dough has to be *just right* to work properly in the tortilla press. (The press i have has lots of bad reviews and was off the market for a while because of this, I believe. People just weren’t making the dough right!) After 2 years of playing with the recipe (which originally called for soy-lecithin – yech!) I have it down. So happy to have yummy, healthy tortilla on hand! Also, because they are so good and so easy to make with the press, I often give them away – it’s been a great way to show people that ‘healthy’ food doesn’t have to be nasty! Very nice recipe, looks a thousand time better than store bought! Thanks Kelly –That answers my question perfectly-no more worries that this nutritious flour is processed. I am going to try those tortillas with arrowroot soon! I wonder if using arrowroot instead of the unbleached white flour would work? I have had good success making crepes with only arrowroot as the “flour” mixed into the other crepe ingredients. As a side note, though, I have asked in several blog areas and yahoo group forums if anyone knows whether arrowroot is a processed food and no one seems to know. I got to wondering about this question because arrowroot is just so fine and white in texture and color–reminding me of…..processed denatured white flour! Anyway, I have continued to use it for all its touted benefits and IF I get a chance to try your tortilla recipe and substitute arrowroot for the unbleached flour, I will post how it turned out. Thanks for the recipe! Thank you for this! I am local to you – and I LOVE Olga’s bread…I think I want to try your suggestions for that. We have been eating gluten-free & corn-free, because of my little guys food intolerances, but the more I read about soaking and fermenting,(I’ve just started experimenting with that after reading Nourishing Traditions, and I just blogged about soaking oats for breakfast!) the more I wonder if he could tolerate spelt if we did that. I want to try this with all spelt and see how it works for him. He loves my homemade wet burritos (ahhhh, another West MI oddity!) and I’d love to be able to make them for him again! Please let us know how your experimenting goes! Kelly, these look fantastic! I love flour tortillas for burritos and such, but I, too, find most flour tortillas in the store to be unappealing – they always smell rancid to me. I usually end up making gorditas from masa. Anyway, I am definitely going to try this recipe. I just strained some rather loose yogurt and it yielded a pint of whey, and I have a cup of tallow that I need to use up soon, so this is perfect. Thank you! Anyway, I’ve been wanting to make my own but my couple attempts in the past were less than stellar, mostly the whole “rolling them out” bit, as it made a huge mess and it was really hard to get them thin enough. I may need to get a tortilla press before trying again but love having a way to make a soaked version! I’ve been reading your blog for quite sometime but never commented before. So thank you for all the great info and recipes. I LOVE homemade tortillas, to me it’s one of those things that once you have homemade you can never go back. I just wanted to say that I make them with all white whole wheat (hard or soft) and I use coconut oil and everyone always loves them. The coconut oil actually gives them a really pleasant slightly sweet taste without tasting coconut-y (one of my friends bought coconut oil exclusively to make tortillas after having one of mine). You’ve got my wheels turning on the tortilla press………. Any brand you recommend? ah, another idea to use up my whey bounty. i really don’t even want to start bread making. once i start, i fear i won’t stop. A) i don’t have the time and B) we’re trying to reduce grains, don’t want to go tempting my bread loving palate with warm fresh bread that’s too hard to resist. the boys would have fun making these with me though. maybe i’ll ask for a tortilla press for my birthday. I’m fairly new to soaked grains. Why would you only soak half? 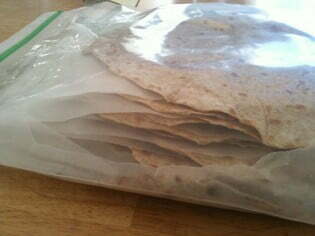 Also my family is usedcto all wheat homemade tortillas (not soaked) so if you were using all the wheat? Or do you need dry flour too? I’m low carb right now but my husband and girls would love having tortillas around. Good question! I only soaked the whole wheat flour because white flour has no phytic acid to break down. Wouldn’t hurt to do all the flour at once if you wanted to, though. Thanks for the recipe! I usually just buy the tortillas in Whole Foods. They seem to have good ingredients and taste good to me, but I’m not very picky about them. I need to try making it myself! Please let us know how the yogurt version turns out (I don’t have whey on hands).